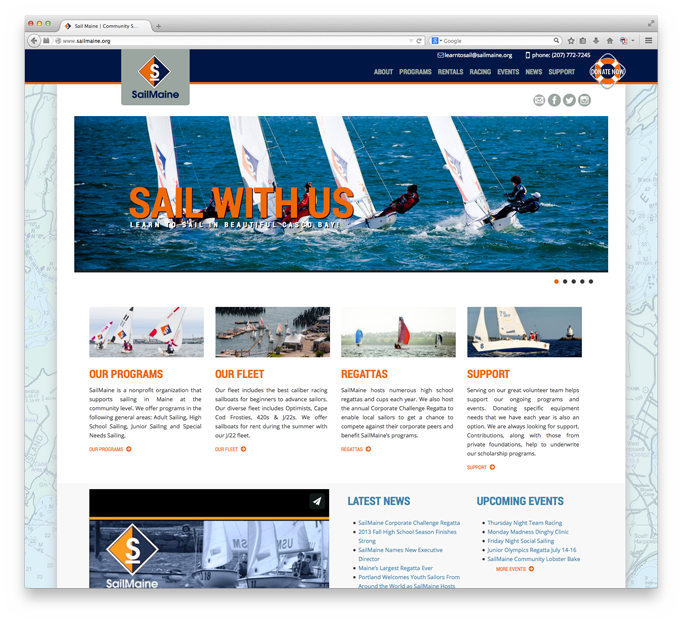 The Shoestring Agency designed the new website for SailMaine as a gift since one of our founders is a volunteer with the organization and an avid sailor in his beautiful home state. The dynamic website’s purpose was to present the edgy and intriguing sport of sailing and SailMaine’s child and adult programs based in Casco Bay Maine. We took full advantage of incredible, professional custom photography by Sarah Beard Buckley Photography. Some notable functionality included nautical widgets that report real-time, coastal wind and weather for sailors.